Cherlyn Matthews is a board-certified Family Nurse Practitioner who joined Georgia Behavioral Health Professionals in September 2018. Cherlyn sees patients of all ages. She works in collaboration with her supervising physician, Dr. Piyush Patel to provide treatment for patients. Cherlyn earned her Bachelor in Business degree from Georgia Southwestern College. Cherlyn furthered her education and earned a Master of Science in Nursing degree from Georgia College & State University. Cherlyn was a former President of a local Nurse Practitioner organization. 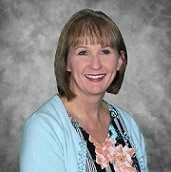 Cherlyn is licensed in Georgia, Florida and Utah as a Registered Nurse and Nurse Practitioner. Cherlyn has over 23 years of nursing experience and has worked in both inpatient and outpatient care facilities.